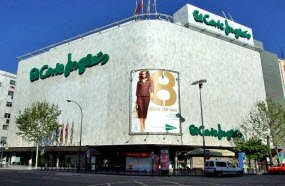 El Corte Inglés is the biggest chain of stores in the country. Each of the stores will offer you up to ten various departments, including clothing (women's, men's, children’s and teen’s), shoes, cosmetics, books, sports, toys and games, electronics, grocery and even travel agency services. Príncipe Píois the old railway station enlarged so that it can comprise both public transport and shopping centre. 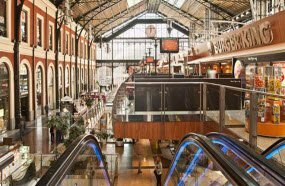 Here you may find dozens of shops full of world-known trademarks as well as numerous cafes, cinema and so on. This department store can offer everything needed to fashion-lovers: clothing, cosmetics, accessories etc. Once you need a break, you may go for a lunch either to the restaurant or the café which are also located here. 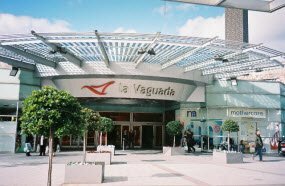 La Vaguada is one of the biggest department stores in Madrid which comprises around 350 shops. It also offers leisure activities, including bowling, cinema, mini amusement park, discotheques, bars and cafes suitable for any taste. 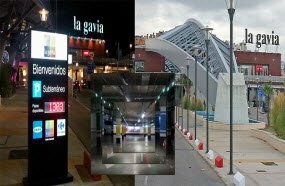 La Gavia consists of 180 different shops, including an Ikea outlet and a Carrefour hypermarket. People also come here to spend their leisure time at a 10-screen multiplex cinema, a bowling alley, and a complete food court. 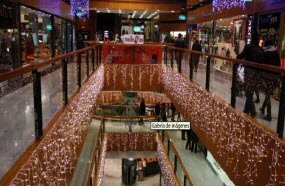 At Arturo Soria Plaza one may buy clothing and accessories as well as handmade decoration from the best brands. 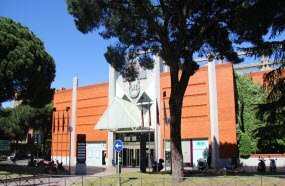 Except for famous shops there are also various exhibitions,activities and fashion shows. Adults may have a lunch at a restaurant while their children are playing in child zone.